Force of Will Inc. is soliciting for preorders on two Starter Duel Decks for its new Architect Trading Card Game which will launch on July 20. Set in the year 2111, various factions gather to battle over disparate ideals: the present vs the past, magic vs science; who controls the future? History’s greatest minds, the New- Roma (Leonardo da Vinci, Einstein) battle against the current intelligentsia (Unity Forces) over rewriting the past, and Sorcerers (Merlin) fight the zombie army of the NewTech Co. with magic. Each Starter Duel Deck, Wizards vs NewTech Co. and Neo-Rome vs Unity, includes two 50 card decks. Each carton (no displays) includes 40 decks. 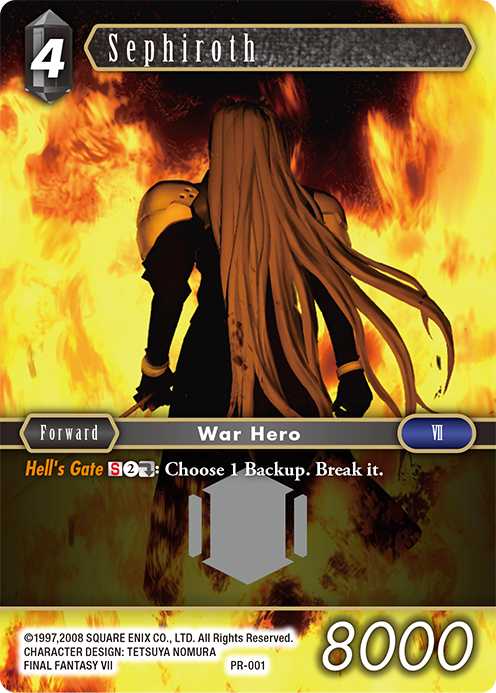 Preorders will include a bonus of 1 Limited Force of Will special PR Card in each Duel Deck. MSRP was not announced at this time. 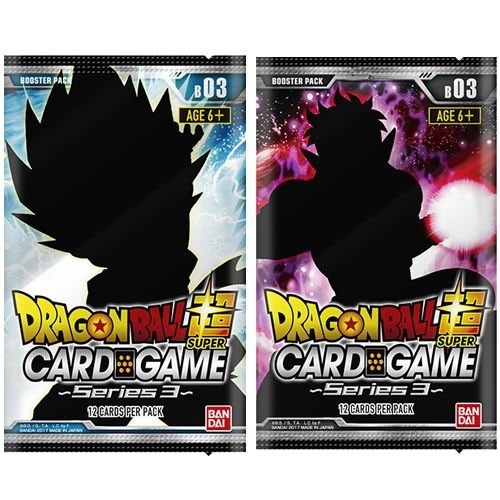 Bandi’s exclusive U.S. distributor GTS has announced Series 3 for the Dragon Ball Super TCG, set to release in March. 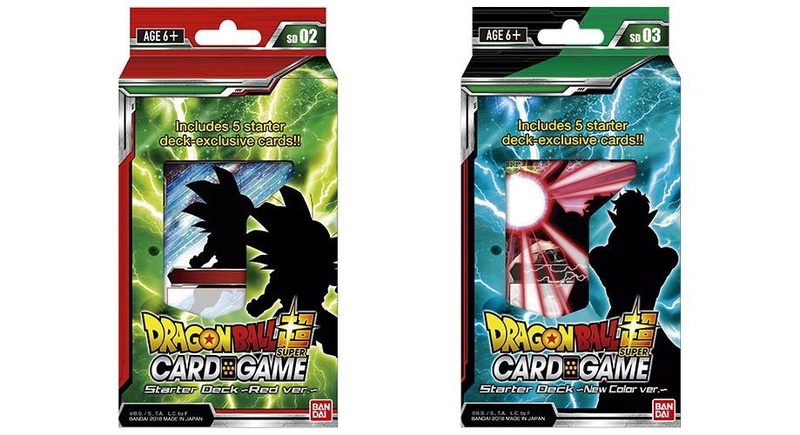 Series 3 will include more than 200 cards, sold in both starter decks and booster packs. Two different starters will be released: The Starter Deck Red Ver. and Starter Deck New Color Ver. Both starters come with 51 cards including five exclusive cards, game rules, and a playsheet. Starters will be sold in six-count display boxes. The rest of the new cards will be packaged in 12-card booster packs. Each pack includes 8 common, 3 uncommon, and 1 rare or higher rarity card. The entire set includes 60 common, 30 uncommon, 18 rare, 14 super rare, 1 secret rare, and 4 special rare cards. Boosters will be sold in 24-pack displays. A Series 3 Special Pack will also be on offer. This pack comes with four random booster packs, one limited edition promo card, and a game play manual. 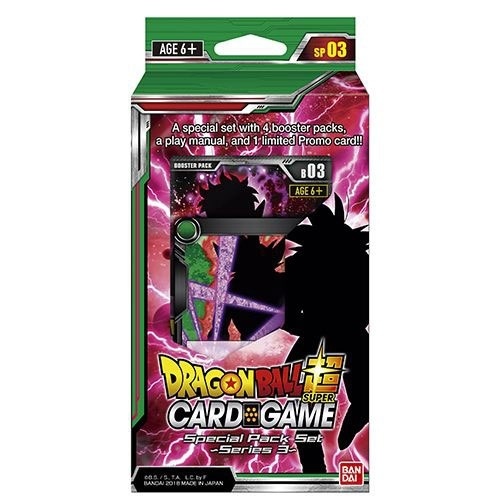 Bandi is supporting the launch of Series 3 with a Tournament Kit for stores that want to hold an event related to the release. The kit includes everything needed for 16 participants, including 16 tournament packs, 3 posters, 1 tournament manual, additional tournament packs for the top 3 finishers, and first and second place playmats. Square Enix will release an in-store organized play kit for the Final Fantasy TCG, coinciding with the release of the new Opus II Collection Booster Set on March 24. 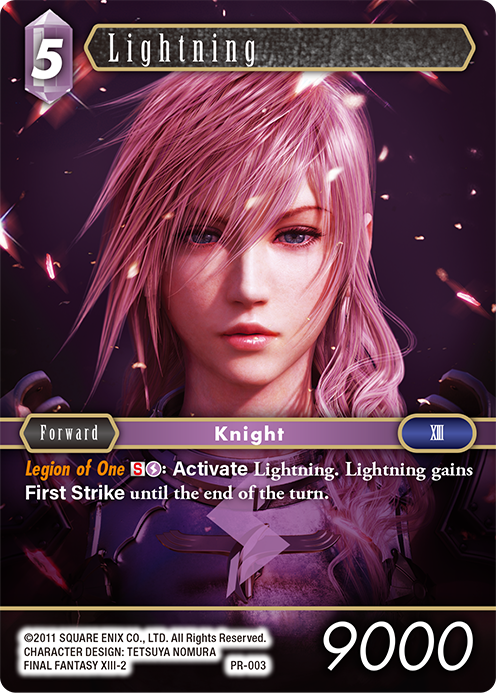 Intended for casual format play, each kit includes organized play directions, promotional cards to be used as prizes for event winner (6 events worth, 3 Premium Foil Promotional Cards – Sephiroth, 6 Standard Promotional Cards – Sephiroth, 3 Premium Foil Promotional Cards – Lightning, and 6 Standard Promotional Cards – Lightning. Events can be as informal as game demonstrations, or as formal as competitive tournament-type events (Swiss or Single Elimination; Pre-built, Limited, or Draft play). The promotional cards are for promotional/event use only, not for resale. Final Fantasy Trading Card Game, Opus II Collection is the second set to be released in the Western market. The 148-card set will enhance the play experience and features popular characters including Tifa and Squall. Each Booster Pack contains 12 cards, with 1 premium foiled card guaranteed. Each box contains 36 packs, and each carton contains 6 display boxes. 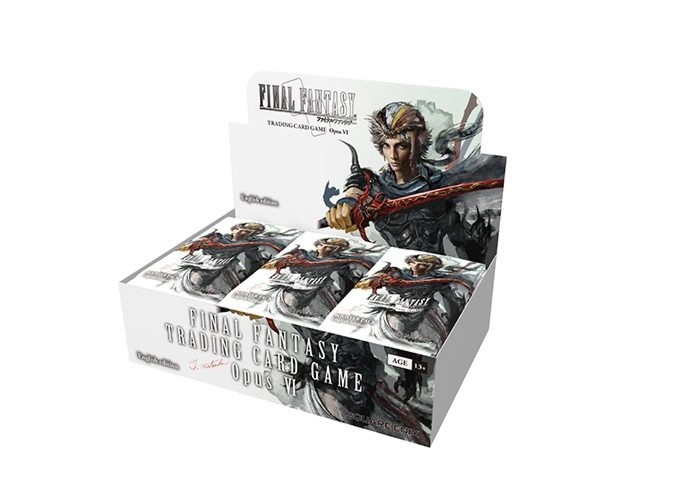 Final Fantasy TCG product is only available through GTS Distribution in the United States (see “Square Enix Enters North American Tabletop Games Market”). It’s really sweet to see a new Darth Vader so soon, I was personally getting really bored of the old one since everyone seems to be running him. Obi-Wan is very cool, but is however not the counterpart to Palpatine. Perhaps Yoda will rise up to the challenge? The first thing that comes to mind with Obi-Wan is clearly to use One with the Force in your deck. It’s almost an auto-include at this point. Rise Again is great design that’s not inherently super powerful and encourgaes you to want to discard something like a Mind Probe or Force Throw early to re-roll or to discard between rounds, knowing you can later get more value out of it. The chamber is very similar to Frozen Wastes with a twist: its effect will work next turn, making it a little trickier. They also mentioned they wanted to make battlefields more impactful in future sets, so claiming will probably be higher on your priority list rather than re-rolling some dice that are less relevant to the board state. They also mentioned that the 2 missing points from Palpatine would maybe get to be used in future sets, but much more into the future. It’s really cool to get a few newer spoilers here and there for what is probably going to be one of the most anticipated CCG sets this year. They just keep us wanting more and more until the product releases in April. 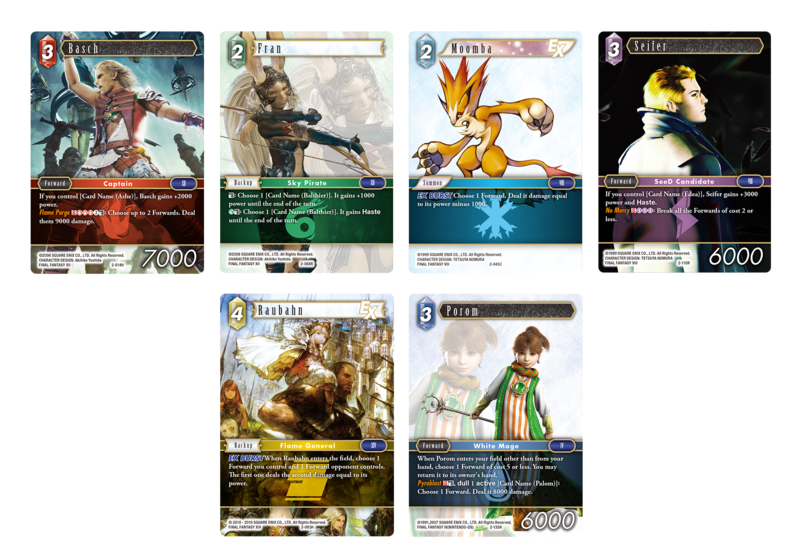 To all our TCG fans in North America, we are still perfecting Organized Play plans for FINAL FANTASY TRADING CARD GAME, set to launch in early 2017! Stay posted for updates, including your chance to win special promotional cards featuring fan-favorite FINAL FANTASY characters.